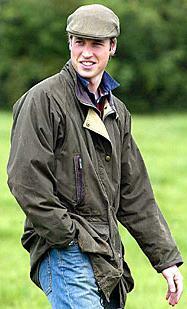 Britain’s Prince William is celebrating his 25th birthday on June 21. The prince spent his special day completing his Army training duties at his Dorset barracks in Lulworth. At 25, William is now entitled to part of the inheritance left to him by his mother, the late Princess Diana. The prince will gain access to the interest accrued on the nearly $13 million left to him in Diana’s will, 10 years on from her tragic death in August 1997. Prince Harry, 22, will also be entitled to an equal amount of funds in three years time. Princess Diana left an estate of $41.6 million and, after $15.8 million was paid in inheritance tax, the remainder was split between her two young sons. After turning 30, Prince William and Prince Harry will be entitled to their shares in full. Prince William, who earns $43, 681 as a Cornet in the Blues and Royals regiment, is also believed to now have access to funds left to him by his great-grandmother, the Queen Mother. The prince also receives money from his father Prince Charles’ estate, the Duchy of Cornwall, which pays for his accommodation, staff and polo hobby. Cameron Diaz Has A New Man?